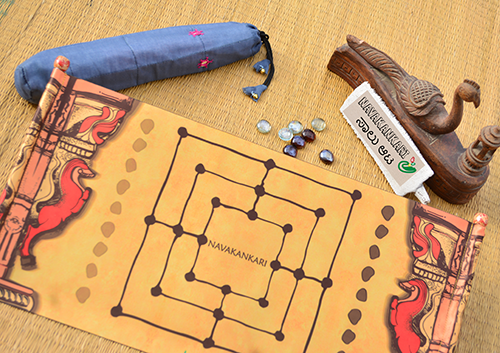 This ancient game is a great way to bring the family together. 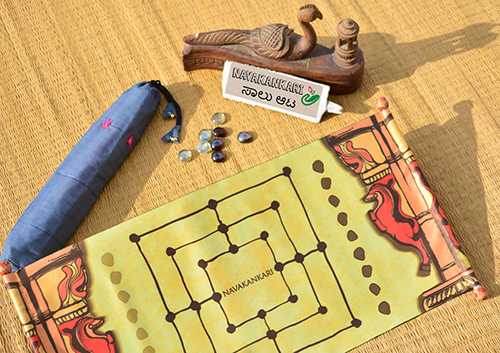 With the objective being - reduce the opponents pawns, this game becomes a play of planning and strategy. 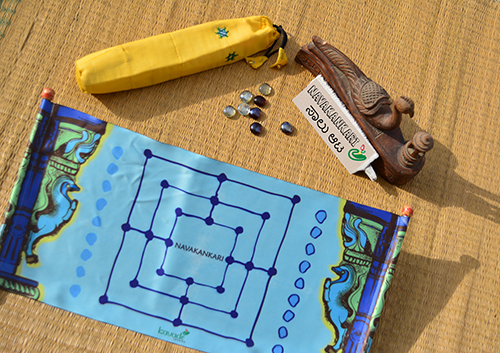 This is a beautiful scroll set with colourful glass pawns and fabric pouch. 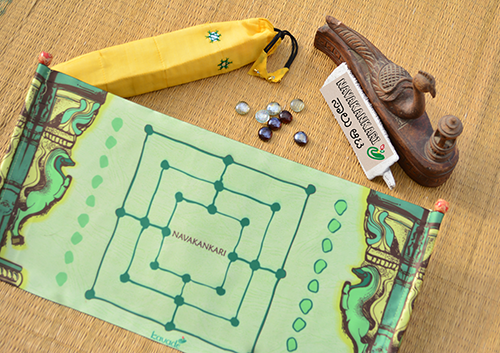 The set is available in Yellow, Blue and Green. 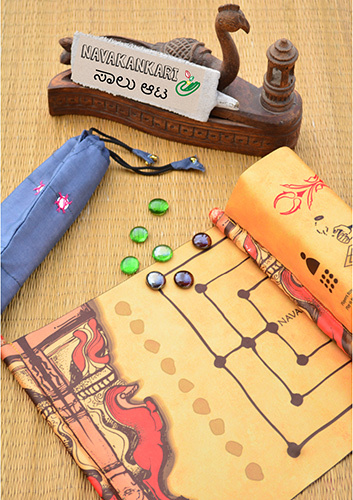 The Temple series of game sets draws inspiration from etchings of different South Indian temples, like Lepakshi, Belur and Halebid.